Granulated charcoal can be added to your pet's food to reduce bad breath. Activated Charcoal is highly absorbent material traditionally used for detoxifying the body. Since it's such a porous material it can absorb and strongly bind harmful substances and foreign materials, allowing them to be passed safely through the gut. 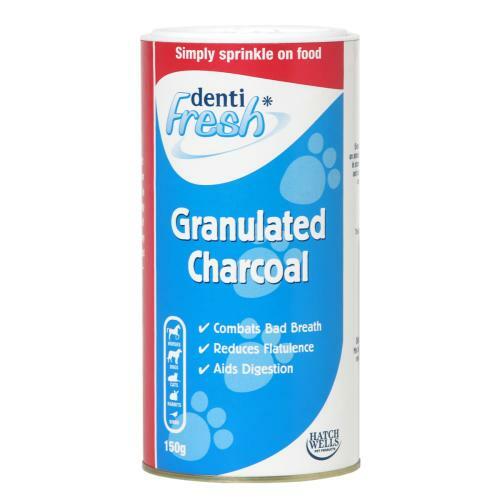 Adding dentifresh charcoal to your pet's diet can help control bad breath, aid proper digestion and reduce flatulence.